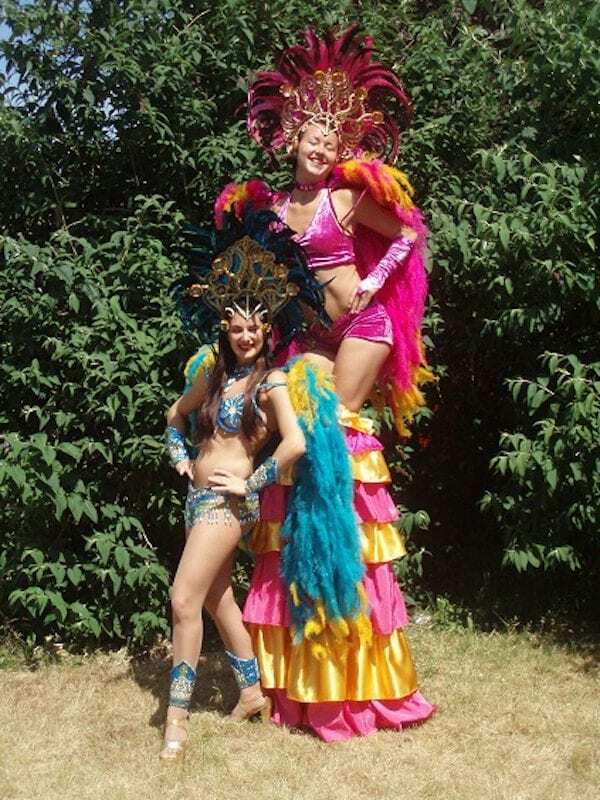 This glamorous, colourful showgirl will brighten up your event. She loves to dance and create a fiasco of fluttering feathers. Perfect for corporate events, evening dos, parades, meet and greet, carnivals, night clubs, Brazilian, Las Vegas or Mardi Gras themes and adding a splash of style and colour. She will interact with the crowd and add splendour to your event whilst spreading her vivacious charm. She can come as a stilt walker or ground based. Cirq Delight have been performing walkabout internationally since 2005 for a vast range of corporate brands, companies, marketing campaigns, festivals and private functions. Their professionalism and unique style and skill base is what makes them stand out.